Cambridge Cognition Holdings plc (LON: COG), which develops and markets neuroscience technology to assess brain health, announced today a partnership with a major pharmaceutical company to deliver online neurological testing to patients in India using the Company’s cloud-based CANTAB Connect platform. The contract includes an upfront payment of over £200,000 for the adaptation of an existing CANTAB digital cognitive health product for use by clinicians in the Indian healthcare market. As part of the product’s development a normative data study will be conducted with 1,500 Indian participants aged 10 – 90 years old before being validated in a clinical study with a further 1,500 patients – both studies being funded by the pharmaceutical partner. Once validated, the sponsor will market the software to clinicians throughout India and pay an annual licence fee to Cambridge Cognition for use of the product plus additional annual fees per clinical user. The need for a standardised, online screening assessment, such as CANTAB, which can be used by general practitioners, is believed to be important in combating the burden of neurological diseases in India. Over 30 million people currently suffer from neurological disease in India creating a growing health crisis1. The problem is compounded by a paucity of trained medical experts, with only one neurologist per 1,250,000 population2. The result is patients being seen by general practitioners with limited knowledge about neurology, leading to low rates of diagnosis and poor treatment of disorders. 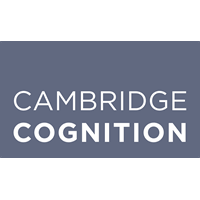 The new product being developed by Cambridge Cognition will enable general practitioners to consistently conduct expert neuropsychological assessments in 20 minutes without the need for formal training. Using gold standard CANTAB cognitive tests, the software, which is already in use in the UK NHS, will help to identify early signs of neuropsychological impairment, support timely diagnoses and provide instant feedback to patients at scale. 1 Gourie-Devi M (2016). Epidemiology of neurological disorders in India. Neurology India. 2016 Sep-Oct;64(5):1110-1. doi: 10.4103/0028-3886.190298. Click COG for the full archive.